MANILA, Philippines — The Bangko Sentral ng Pilipinas (BSP) has ordered big banks to submit enhanced reports on interest rates on loans and deposits for better monitoring and transparency. 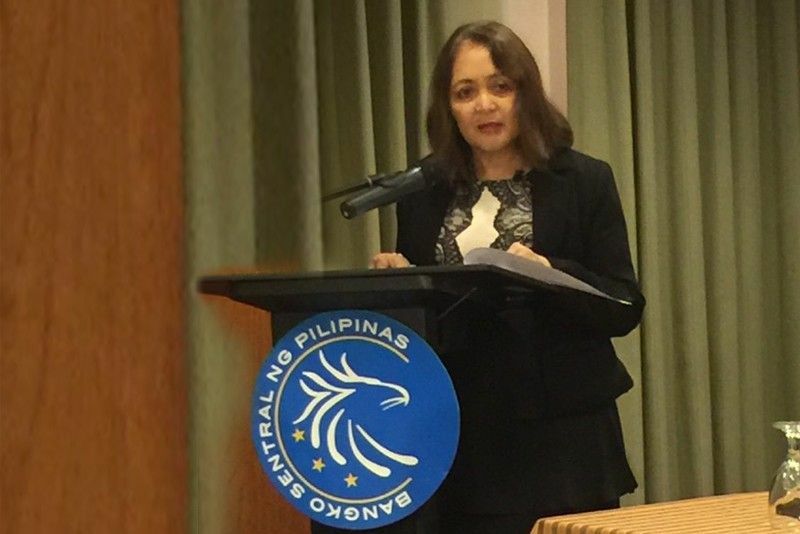 BSP Deputy Governor Chuchi Fonacier said the enhanced and simplified reporting templates seek to capture relevant granularity for effective monitoring and transparency requirement. “The enhanced structure requires greater granularity on the data reported that is expected to contribute to enhanced monitoring and analysis of the BSP as well as provide the public with more information in making decisions,” Fonacier said. The new rules requires big banks to disclose interest rates on actual loans granted and deposits generated classified as to product types, maturity period/terms, and size of deposits as of a given reference period. The regulator said the data on bank interest rates on loans and deposits are published on the BSP website on a regular basis providing consumers with more valuable information to compare costs and evaluate their needs based on the best loans and deposits products available to them. “The compilation and publication of bank interest rates on loans and deposits are aligned with the international best practice and likewise supports the BSP’s thrust to promote greater financial literacy, consumer protection, and market transparency in the industry,” the BSP said. The full implementation of the enhanced reporting requirements of big banks is scheduled on March 1. Bank lending grew at a slower rate of 15.6 percent in December as disbursements reached P8.33 trillion in 2018 from P7.2 trillion in 2017. The growth in lending to the real estate sector eased further to 11.1 percent to P1.44 trillion for a 16.8 percent share followed by the wholesale and retail trade as well as repair of motor vehicles and motorcycles that also slowed down to 15.2 percent to P1.16 trillion for a 13.9 percent share. On the other hand, disbursements to manufacturing companies grew by a slower rate at 13.1 percent to P1.07 trillion accounting for 12.8 percent of the total loans, while the amount disbursed to the electricity, gas, steam and airconditioning supply accelerated by 12 percent to P929.7 billion for an 11.2 percent share.